If the known terms of the contract are finalized, it would shatter the record for the largest deal in North American sports history. 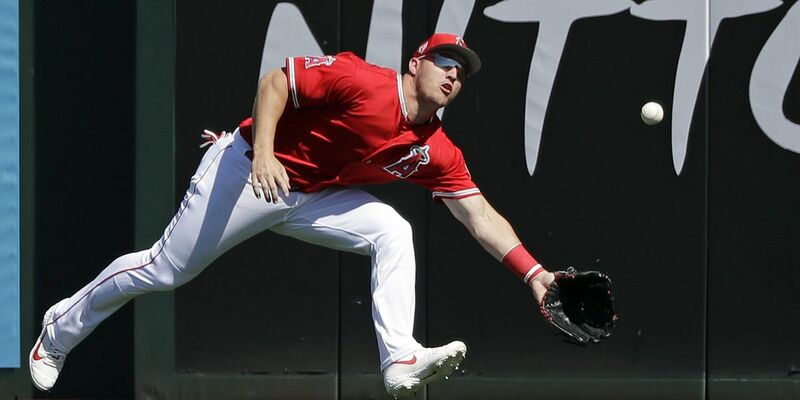 (ASSOCIATED PRESS) - A person familiar with the negotiations tells The Associated Press that Mike Trout and the Los Angeles Angels are close to finalizing a $432 million, 12-year contract that would shatter the record for the largest deal in North American sports history. Trout would top the new $330 million, 12-year contract between Bryce Harper and the Philadelphia Phillies, and his $36 million average annual value would surpass Zack Greinke's $34.4 million in a six-year deal with Arizona that started in 2016. If you do encounter a bear in the wild, experts say the best plan of action is to leave it alone.